The Exclusive Preview of ‘Pampers Premium Care Pants‘ at #Win15 was an enriching experience for me as a mother and I once again wished if I could go back and change the days when my baby would have sleepless and uncomfortable nights. After a grand event, I not just brought back home some fond memories but was also handed over a Pampers goodie bag with some amazing stuff along with a responsibility to review their product for the brand as they could trust none other than mothers when it came to judging the best for their babies. The whole experience of attending the live demo and the product demonstration during the preview felt so promising that I could blindly recommend this product to any mother who came my way.. That’s the kind of faith and trust I gained during those few hours spent with the experts. 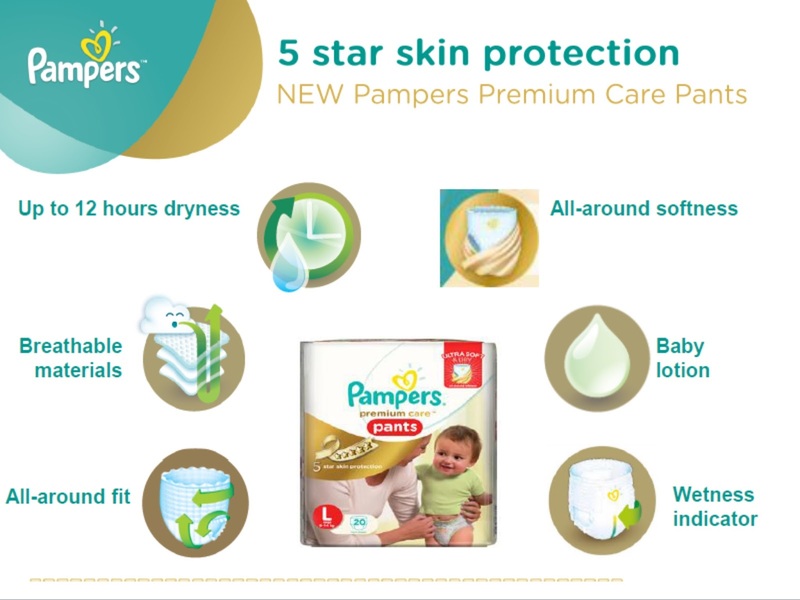 I have always been a Pampers mum when it came to my baby’s nappy… but what makes ‘The New Premium Care Pants‘ different from the rest are the 5 star skin protection features which enhances the quality and the softness of these new diapers. Whenever it comes to the rescue of babies skin, Pampers have always taken care of the delicate bottoms of the newborns. The material/fabric is so soft and cushioned that it not only protects the skin but also allows the skin to breath through the material keeping baby feel free and comfortable. These Premium Care Pants provides a snug fit to babies all around the waist keeping it soft and smooth on the skin.. that lets them be on their own for hours and provides a free leg movement for babies to sit, stand, tumble & topple around the house. These innovative pants are designed in such a way that the core quickly absorbs the wetness leaving the skin dry for baby as long as for 12 hrs. 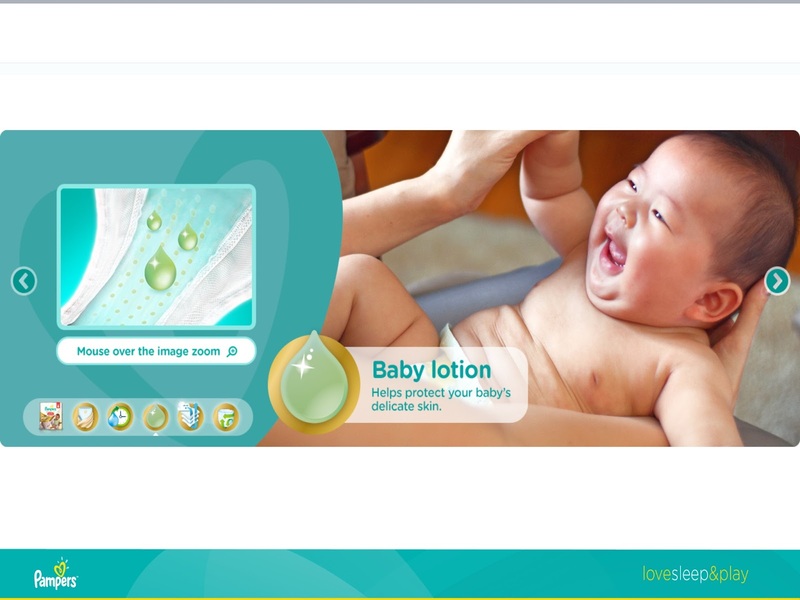 Within no time the liquid turns into a gel to give a soft cushioned feel.. little for baby to realise they are into their pants. The core of the diaper and the layers within are filled with baby lotion and is made smooth and silky which gives the softest touch feel to the baby’s bottoms and also helps the skin stay moisturised throughout. Essentially needed by most of the first time mums.. A wetness indicator turns yellow to blue colour when comes in contact with the fluid to indicate it’s time to change the baby’s nappy. 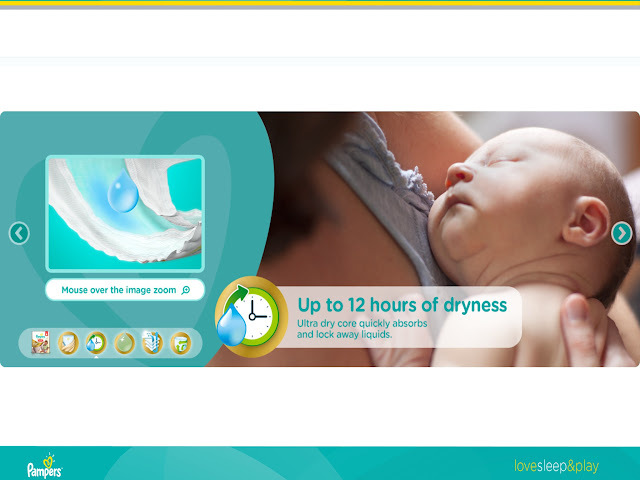 This feature ensures baby’s are out of soiled nappys right in time for their skin to stay clean, healthy and dry. 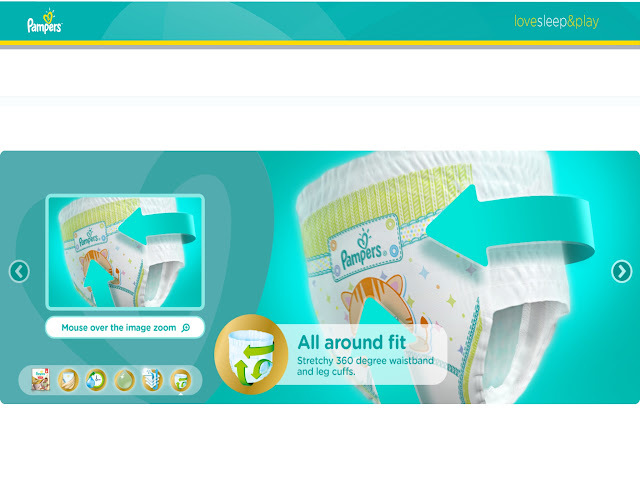 Pampers Premium Care Pants are hassle free for the babies to slip in and can be open teared from the sides for easy removal. 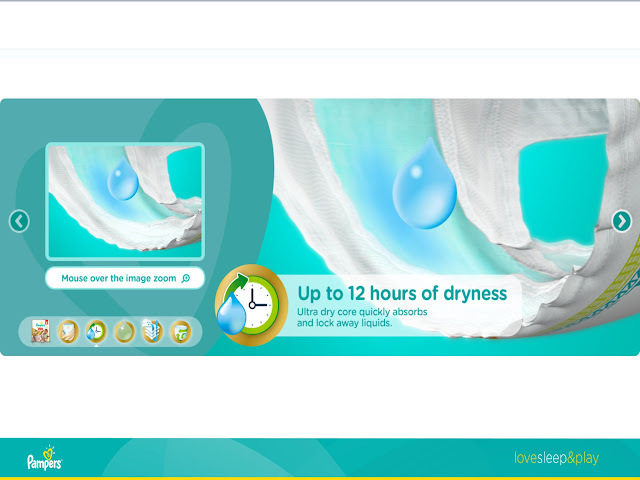 Now Diaper changing made effortless and quick like never before. These Premium Care Pants come with an attached disposable tape on the front of the nappies .. Just roll them in and tape it up. That is it! and they are ready to be disposed. 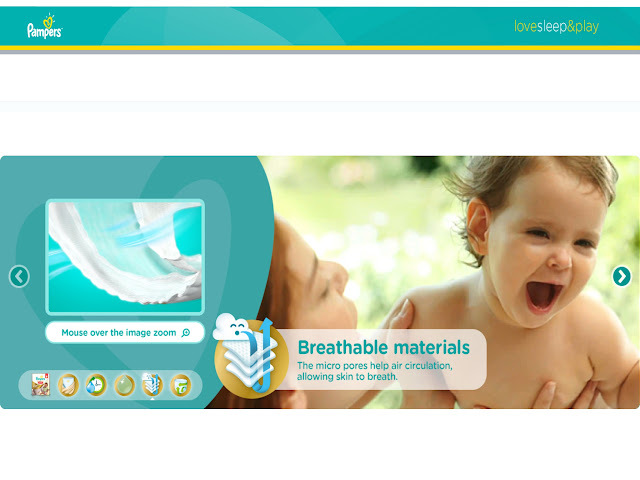 For over 50 yrs of parents trusted brand Pampers is not just #1 selling brand worldwide but has become synonymous to the word diaper. Pampers you have been relieving mothers of their worries for years and you are every babies buddy … They spend their childhood wearing you and make beautiful memories for life too. No other pants are drier for happy mornings more than you. 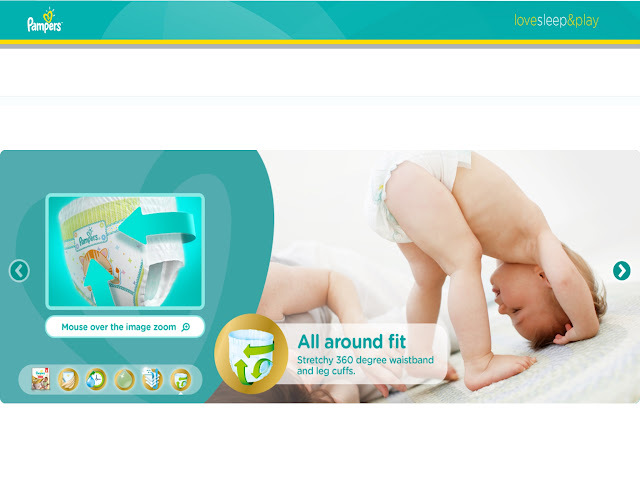 I am glad I Joined pampers world of love, sleep and play. I couldn’t have imagined my baby’s childhood days when his bottoms were snugged in you and you cared them all day. 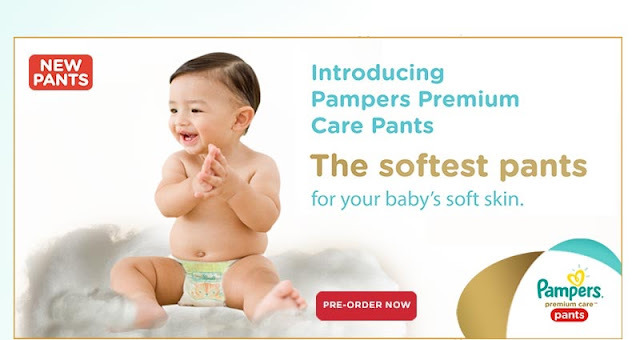 So gear up mommies for the soon to be launched Pampers Premium Care Pants for your little ones to love, sleep and play and make their childhood memories beautiful and gay. 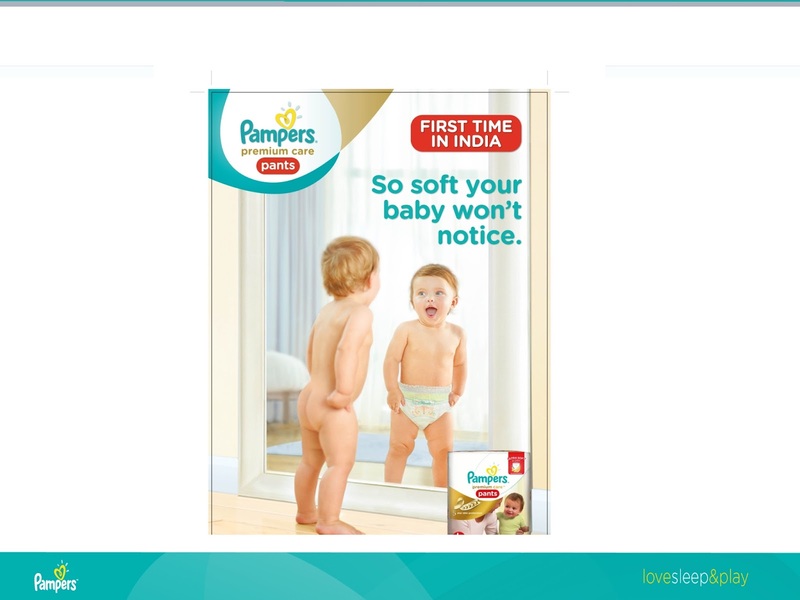 “This blog post is written for the Pampers #SoftestForBabySkin activity in association with BlogAdda“.